It's the night of my Christmas works party and the one thing I was desperate to arrive before tonight was my new Rollasoles! If no one has heard of this brand itself, then I'm sure many of you have heard of the concept of rollable shoes instead. Basically the idea is when you go on a night out with your girlfriends, you're probably wearing the most stupidest high heels ever and there always gets to a certain point in the night where you've showed off to many of your moves on the dance floor and you're dying to take them off. This is where Rollasoles come in! With the help of this brand, you can now take those nasty heels off and pop on these comfy dolly shoes and dance the rest of the night away with no aching feet! They even give you a handy bag to carry your heels in! Clever! A pair costs £9.95 which I don't think is too expensive when you consider how many bruised knees these shoes will prevent! I went with a classic black pump but they have a whole range of different colours and styles. I'm totally eyeing up these red dotty peep toe shoes for my next order! 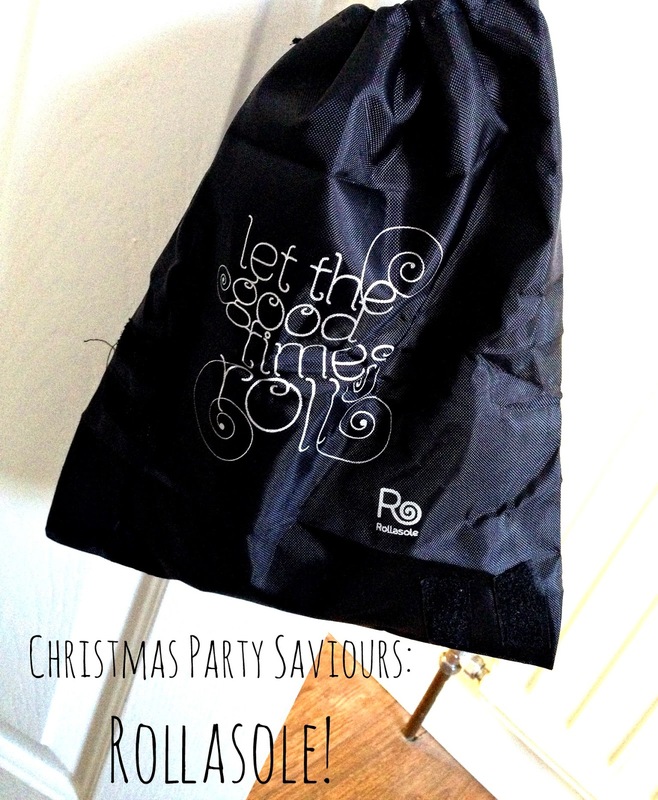 I am totally in love with these and I think they're a definite party essential! I'm so annoyed with myself that I never remembered to buy me a pair of these sooner. Be prepared this party season and order yourself a pair now on their website! I have a pair of these and I love them - they've saved my feet on many a night out!